Later today, there is to be a Twitter chat about Language and dementia, so if you want to join us use the hashtag #demphd and you’ll find me tweeting as @KateSwaffer plus you might find @DementiaAlliance and many others getting involved. The debate on language is usually rather robust, and it will be a good lead in to the official Dementia Language Standards currently being written by Dementia Alliance International for release later this year during World Alzheimer’s Month in September. Clarissa Giebel planned this Twitter chat and invited me to participate, as well as write a blog for her which I will add here once she has published it. Clarissa is a German PhD Student in Psychology & Research Assistant – Developing non-pharmacological interventions in #dementia based at the University of Manchester. She is also, according to her twitter profile, a very keen runner! From perspective, in the public space, if something I say offends only one person, then I need to honour and respect them and not use that word or phrase publicly again, even if is something I experience personally. Even if I was quite happy to call myself retarded by the symptoms of dementia, that is obviously not appropriate publicly (and of course, I have only used it here as an analogy and never use that word to describe anyone or anything publicly or privately). I love it Kate, keep up the good work! The awareness of the language guidelines are getting used, mostly because those of us working in the research area insist on the language being used complying with the at least current guidelines. 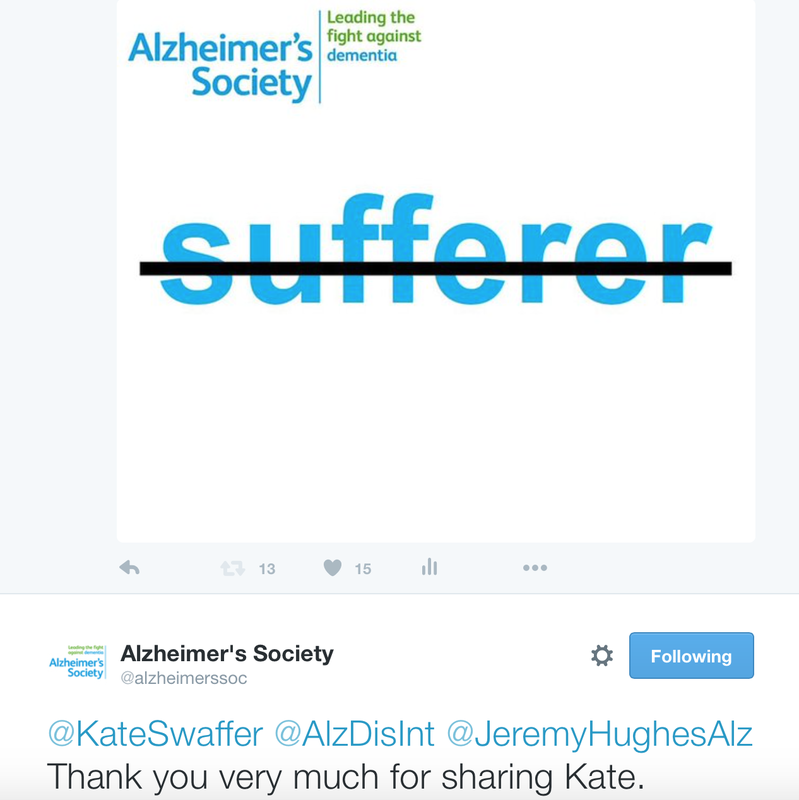 Dementiasm must be sorted: thanks for never giving up Kate.